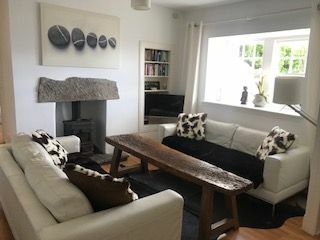 This traditional detached cottage has been tastefully refurbished and offers ideal accommodation for a family holiday or couples seeking a romantic escape. 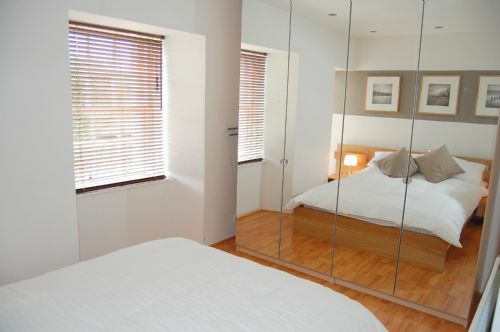 Situated just 50 yards from Largo's long sandy beach the cottage has SEA VIEWS from most rooms.There is wireless broadband internet for use by guests. The interior is bright and contemporary using a clever mix of modern furnishings and antique style chinese furniture. To the side of the cottage is a small PATIO area with table and chairs and off-street parking. The interior of the cottage is all on one level. 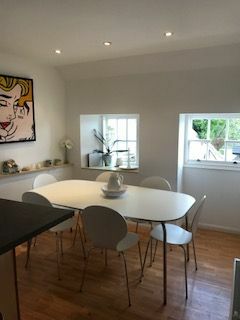 Kitchen/Dining Room - Well equipped modern kitchen leads from patio area at side of cottage opening onto dining area with dining table seating 6 and sea views. "Cottage great - well equipped, fantastic location. We had a brilliant time and will certainly be back. What a charming cottage, and what adventures we have had on the beach!! Location, cottage and locals all amazing - would love to come back! Great week, this is our third time in Largo but this is best house yet. Great situation, lovely cosy cottage. Great decor! Home from Home. Great views of the beach from all windows. Beach only a few steps away. Lovely accommodation, lots of funny memories! Our 2 year old loved running up and down the corridor! Beautiful cottage, home from home. Area fantastic. Great week. We’ll be back. Thanks for letting us use your home. Fantastic cottage, stylish and cosy. Great beach and lots of autumn sun! We had a really comfortable stay here. The woodburning tove makes it very cosy.